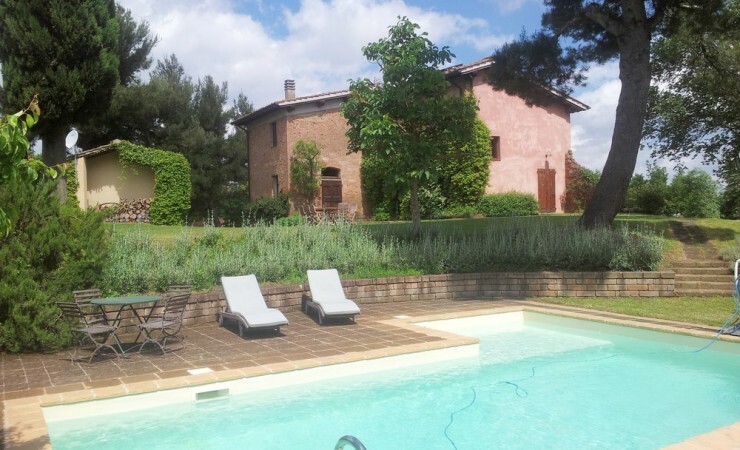 Placed on top of one of the hillock chains sloping down to the Arno valley, Villa Belvedere is near Marti (in the province of Pisa) in the heart of Tuscany, with a stunning 360° view. 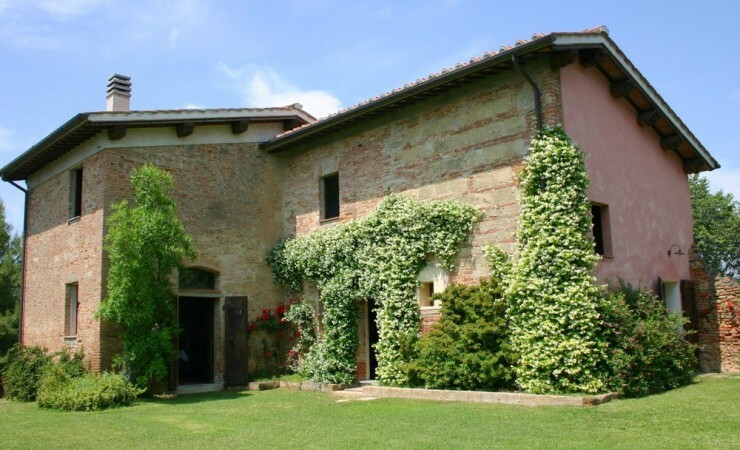 From its strategic position in the centre of Tuscany one can easily reach by car all the most known art towns of the region in a range of time going from half an hour (the nearest one: Pisa) to a couple of hours (the farther away: Pienza). Besides such opportunities the visitor interested in art and history may experience another characteristic of Tuscany: the abundance, even in small centres, of masterpieces (in architecture, sculpture, painting) and the evidence of stratified civilisations going from the Etruscans to the Romans up to the Middle and Modern Age. 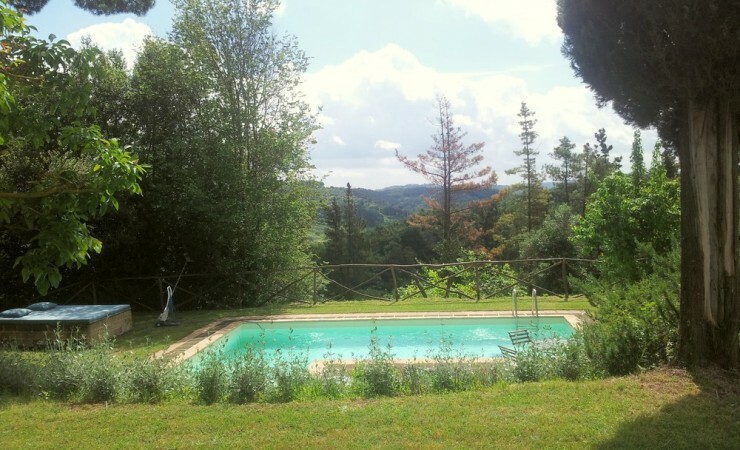 Country places such as Montopoli Val d’arno , Palaia, San Miniato, Vinci, Cerreto Guidi, Volterra, San Gimignano and many others are all reachable within one hour car trip from Marti. The house stands in it’s own grounds and all around are woods and an olive grooves from which the estate farms it’s IGP Tuscan olive oil. The front lawn is a perfect place to relax and have barbecues. 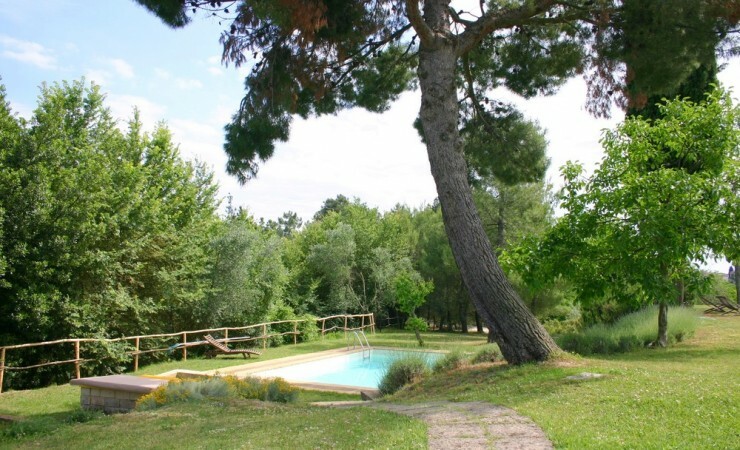 The setting is very rural, we have chosen to keep it very simple, fruit trees: pears, peaches, figs, chestnut, olives. 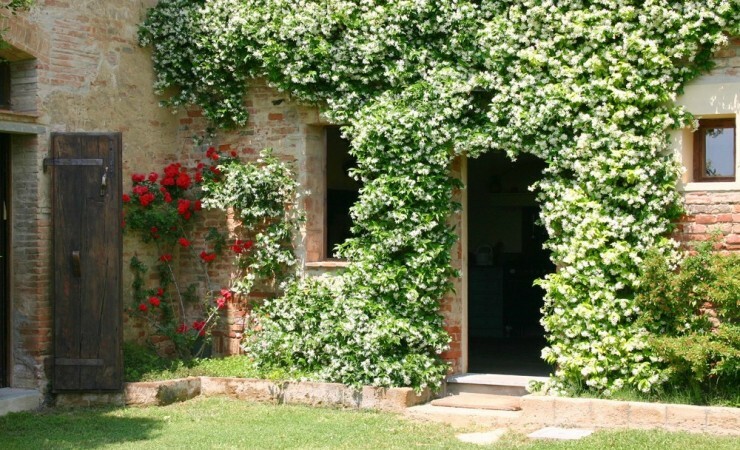 Rosmari and other spices like sage can be found in the flower beds which decorate the outside walls of the house. The pool is set in a lower part of the garden so to give it privacy from the exterior cooking or activities on the front lawn, it has a max depth of 140cm and a small section dedicated to toddlers max depth 40cm. A beige liner has been adopted so to keep it in tune with the surrounding, all around it has been paved and there are plenty of sun beds for relaxing on, even a huge exterior bed for those lazy afternoons. 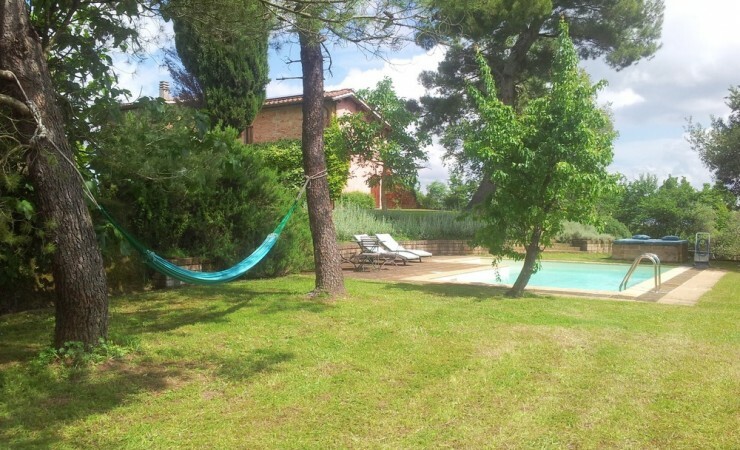 The villa is on a cul de sac surrounded by woodland on one side and an olive groove on the other, the pool area has big sun bed fixed, 2 sun loungers, 2 deckchairs plus a small table and 4 chairs, a sun umbrella is available. 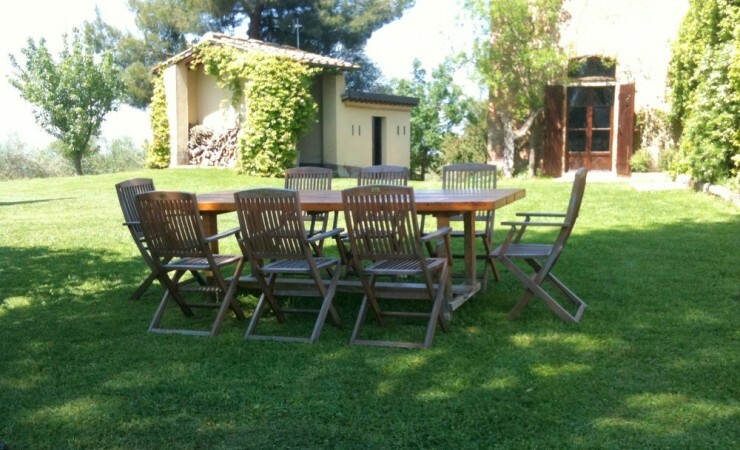 Table and chairs to eat outside are enough for 10 people, barbecue wood available on location. The house is run for it’s hot water with a solar system in the summer thus making is eco friendly. The farmhouse was renovated completely in the year 2000, in the year 2011 it has been totally repainted on the interior, windows and doors have also been fixed and painted. 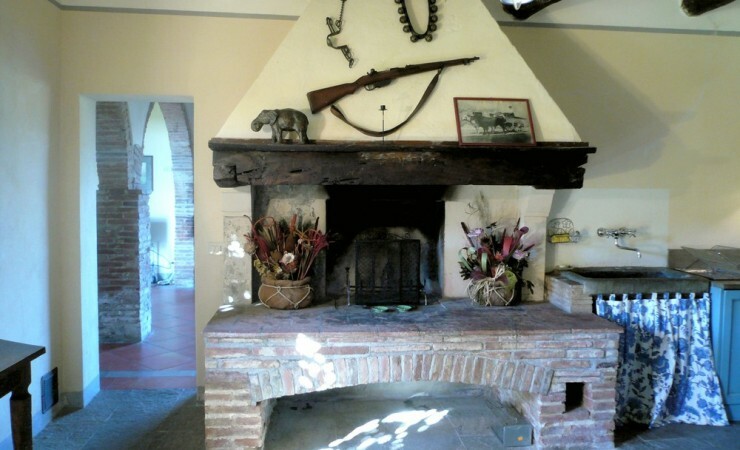 The living room was the old stable, it has been tiled with large terracotta tiles and a couple of arches divide the sitting area from the dinning room, a coffee table made out of the old pig stie door at the centre of the cozy sofas. TV with satellite, DVD player, stereo, WIFI available. 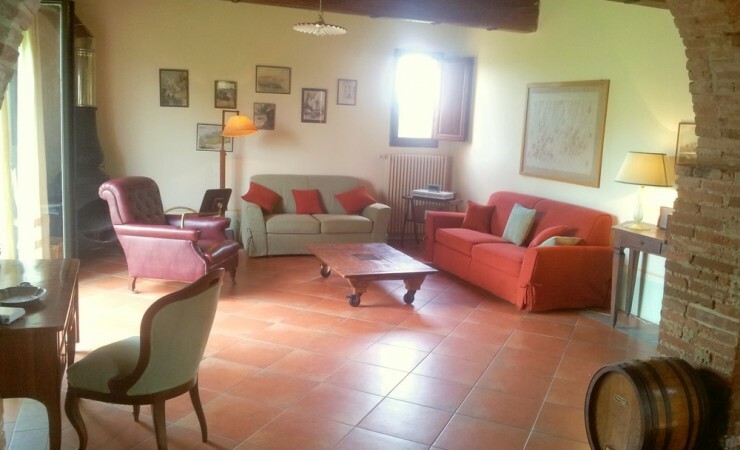 The sitting area has a large arched window giving onto the Apennines chain of mountains at sunset. 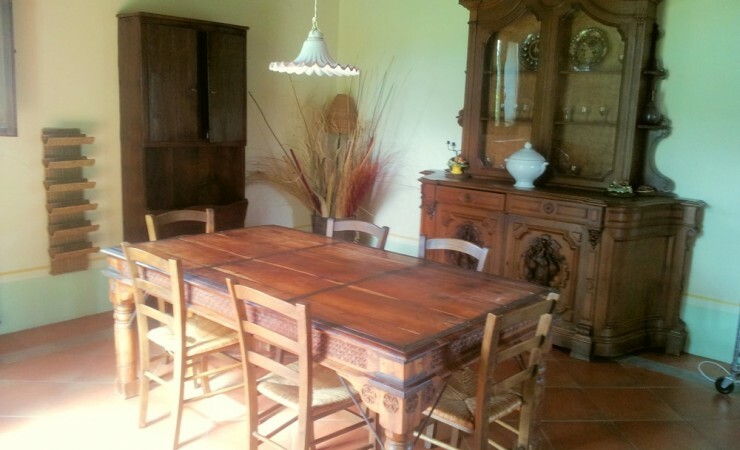 The dining area with its old hunting cupboard and a French window, which gives onto, the front lawn makes dining a real country experience. 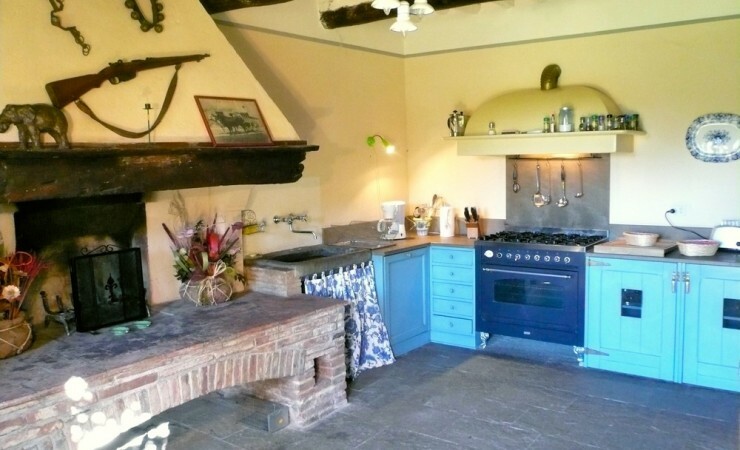 The Kitchen is where you enter from and the first thing that strikes is a magnificent old Tuscan fireplace, the old wooden fridge which is now used as a ladder, and the totally efficient but old looking kitchen with six fires, and gas oven. A dishwasher makes tidying up much more pleasant. The utility room has a washing machine, ironing board and all other cleaning materials making the long stays just like being at home, especially with kids. A downstairs wc has been allocated under the stairs. A shower is also present so washing off from the pool is easy. 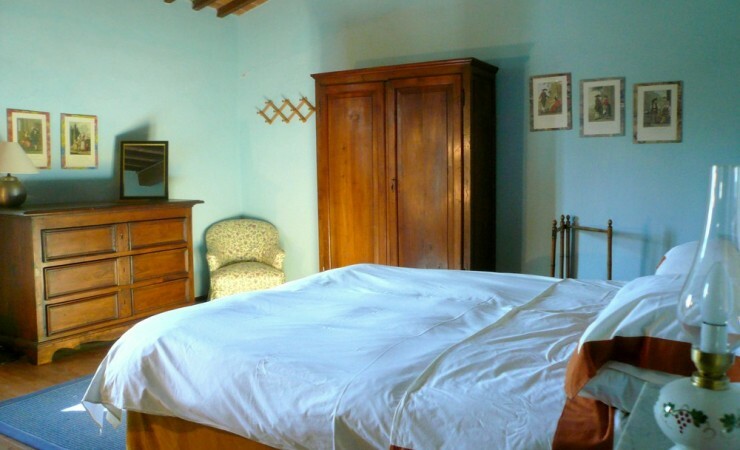 All bedrooms are very spacious and at the same time cozy, plenty of hanging space, comfortable beds and wooden floors and old terracotta tiles, furnished with old antiques. 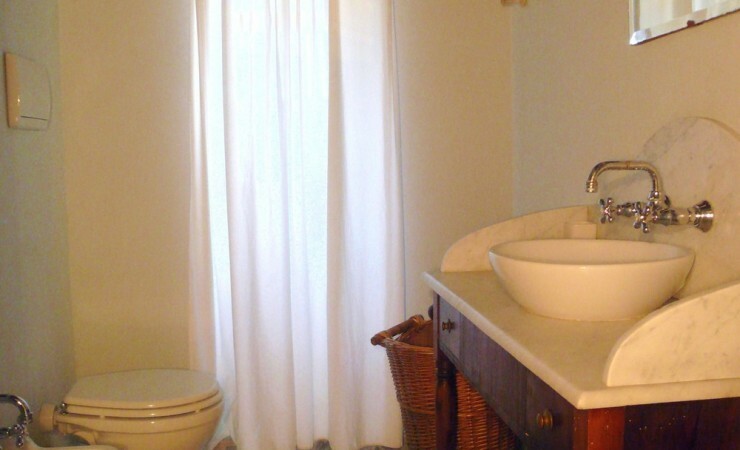 The bathroom is very big has a bath, basin, wc and bidet, there is even a sitting area. 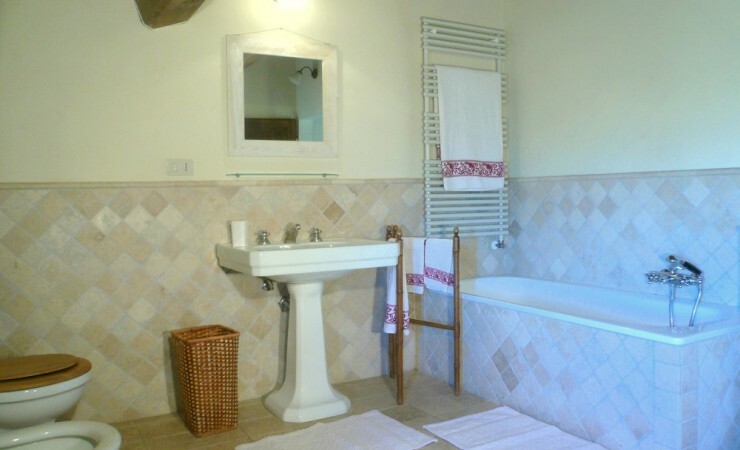 The shower room has a stone floor, and the basin is an old restored wooden bedroom toilette, wc. 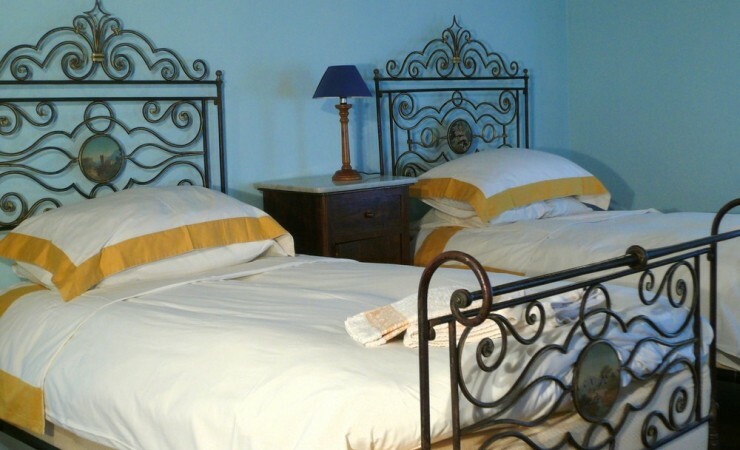 All towels and linen are provided, beach towels are given the change over is every Saturday. Daily maid, babysitter, cook, all on request at an extra cost. We can organize any sort of activity from wine or olive oil tasting tours, olive picking or wine harvesting, guided tours of the historical towns, cookery courses, pottery classes, truffle hunting excursions, hiking, walks, mountain bike rides. 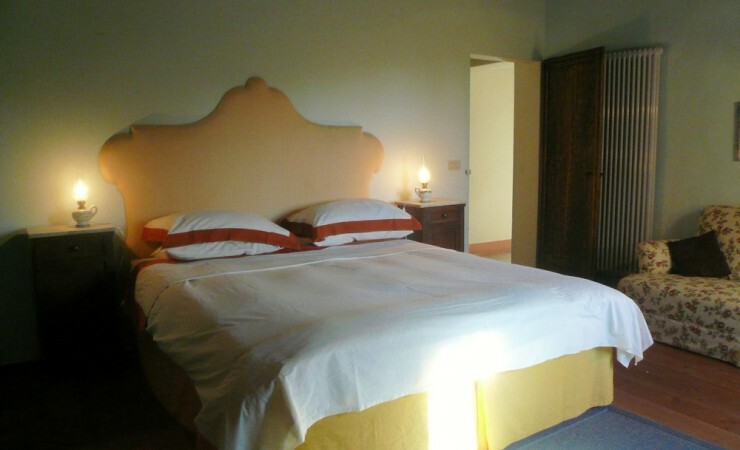 Also daily maid service and cooking services at the villa on request. 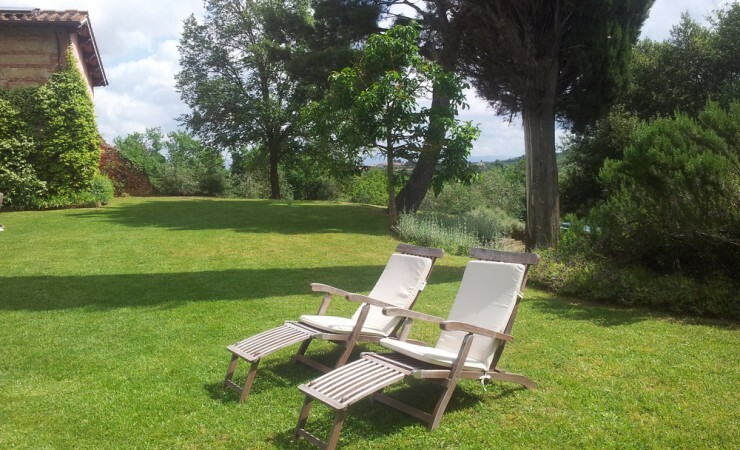 Florence international airport Amerigo Vespucci is around 45 mins drive away from the villa. 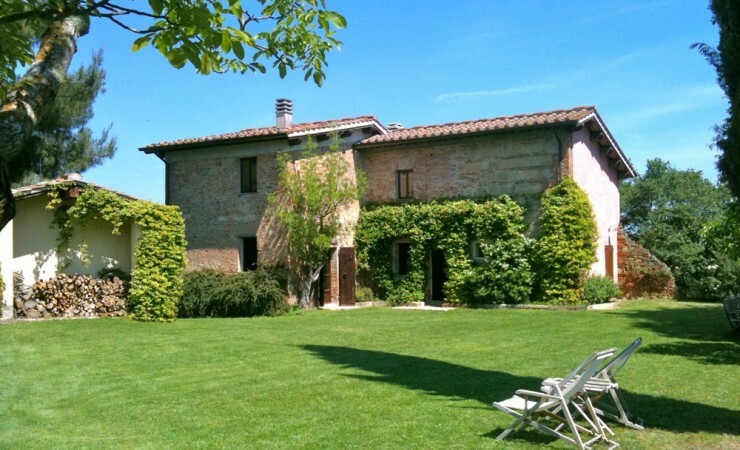 Nearest train station in San Romano or Pontedera, trains to Pisa and Florence every 30 minutes. 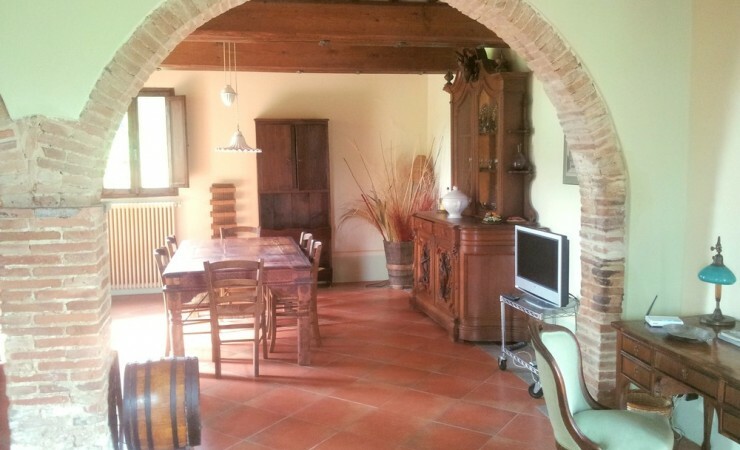 The area is well served and large supermarkets are all around in Pontedera, San Romano, Empoli, Navacchio, Santa Maria a Monte with the coop is the nearest. The area is full of very nice restaurants offering from Pizzeria to refined cuisine like Michelin guide restaurants. 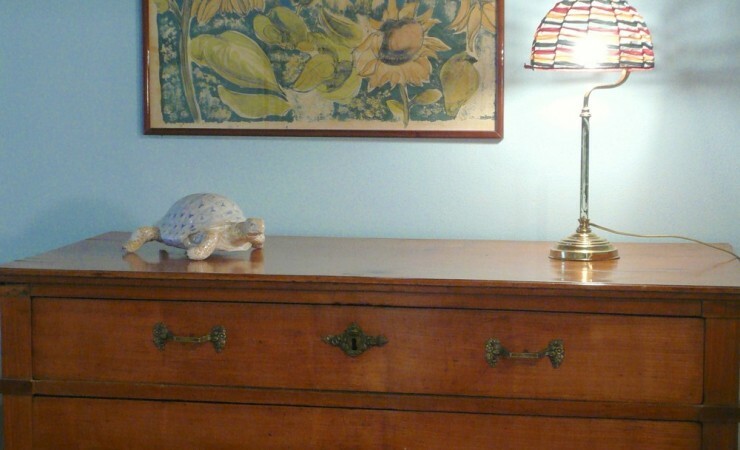 Wireless Internet, Linens & Towels Provided, Washing Machine, Hair Dryer, Toilet Paper, Iron & Board, Fans, Moschito machines. 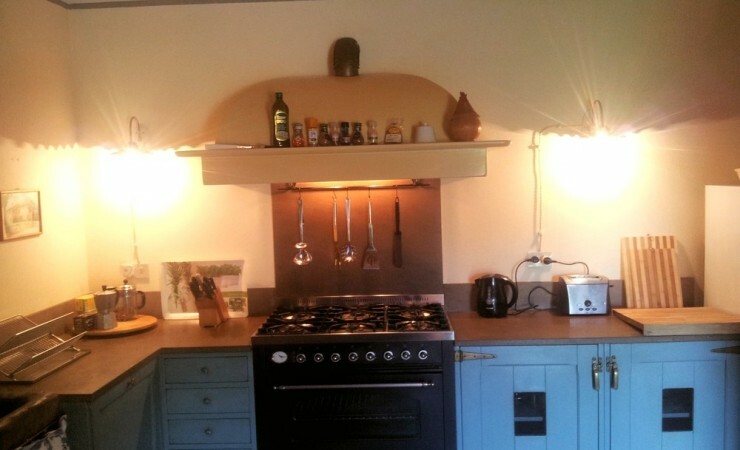 Heating, Local Restaurant Guide & Housebook, Fireplace, Firewood. Cooking Utensils, Pantry Items, Coffee Maker, Toaster, Grill, 6 Ring Stove, Dishwasher, Refrigerator, Freezer, 90 cm Oven, Child’s Highchair, Dining Area seating for 8 people. 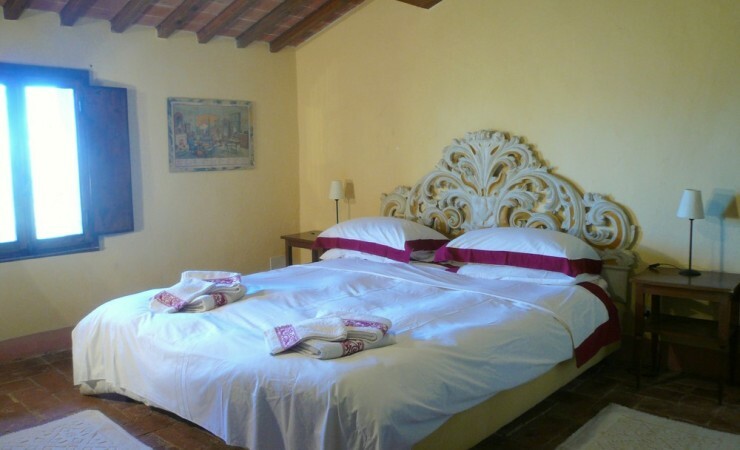 All rooms are very spacious and at the same time cosy, plenty of hanging space, comfortable beds either wooden floors or old terracotta tiles. The bathroom is very big has a bath, basin, wc and bidet, there is even a sitting area. The shower room has a stone floor, and the basin is an old restored wooden bedroom toilette, wc. Downstairs there is separate wc and basin, and also a shower in the utility room.